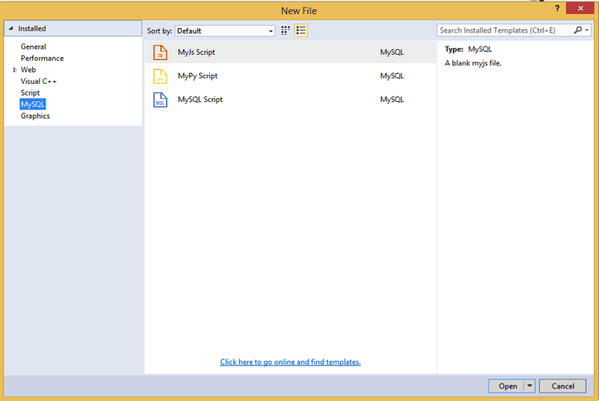 This section summarizes many of the new features added to the 2.0 release series in relation to the MySQL for Visual Studio 1.2 release series. 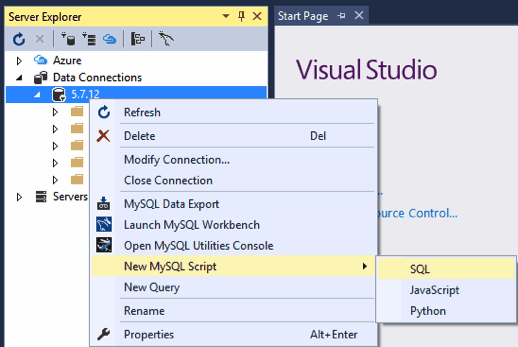 MySQL for Visual Studio 2.0.5 is a development release. 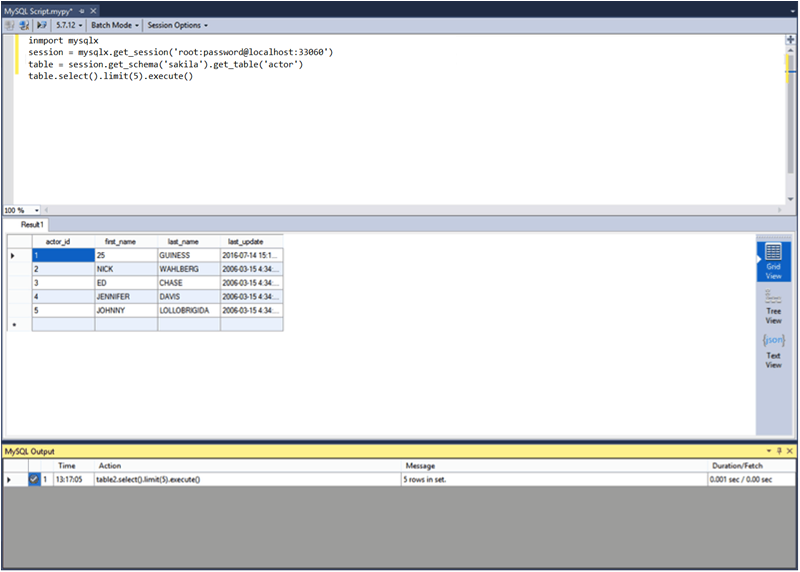 For notes detailing the changes in each point release, see the MySQL for Visual Studio Release Notes. Support for Microsoft Visual Studio 2017 was added. Support for Microsoft Visual Studio 2010 was removed. A new MySQL Connections Manager tool was added, and it can create and manage MySQL connections. It is found under the Server Explorer. 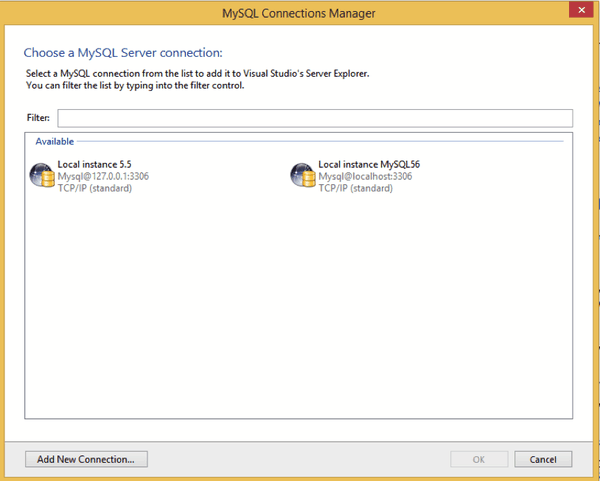 This button opens the MySQL Connections Manager dialog that enables the sharing of stored MySQL connections with MySQL Workbench, if it is installed. 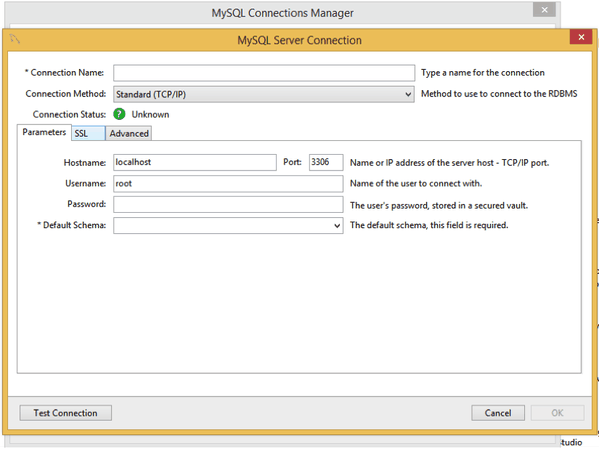 MySQL connections are displayed in a simpler way and can be created and edited from within this dialog. 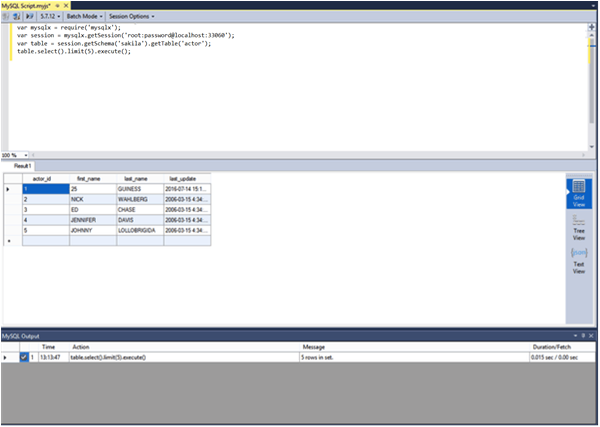 These connections can be imported to the Visual Studio Server Explorer for use with Visual Studio. Select MyJs Script or MyPy Script to launch the MySQL code editor for the selected language.